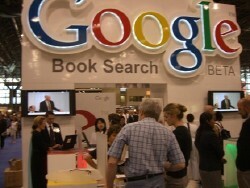 An audacious global settlement of a copyright dispute between Google’s “ask forgiveness, not permission” book-scanning project and two trade groups, representing some book publishers and some authors, was sent back to the drawing board two months ago after the Justice Department filed a blistering 28-page “Statement of Interest.” The brief attacked the deal on antitrust, copyright, and class-action abuse grounds. The parties last week emerged from a furious round of further secret negotiations to issue a revised settlement that they hope will spur quick new approval. Google Books Settlement 1.0 was cut-and-pasted, sliced, diced, pureed, processed – and, above all, triangulated in an effort to meet concerns articulated formally by hundreds of domestic creators, access and privacy advocates, and potential Google competitors, and less formally by foreign governments and constituents. But make no mistake: It was the loud voice of Obama Justice that forced this strategic retreat and reload. And it is Obama Justice that will decide the fate of Google 2.0. The case judge, Denny Chin, has been nominated for promotion to the Second Circuit Court of Appeals. The administration already faces heavy criticism for the snail’s pace of its judicial and other appointments, despite the advantage of a lopsided Democratic majority in the Senate, which reviews them. So does anyone really think Judge Chin will call an audible after William F. Cavanaugh, the deputy assistant attorney general of the Antitrust Division, sends in a new play? That’s why I’ve told my friends to circle February 4, 2010 on their calendars. Under the current proposed schedule, that is the deadline for Justice’s response to Google 2.0. The new version takes one huge chop out of the old one by confining itself to books with copyrights registered in the U.S., plus those published in Britain, Canada, or Australia. This will approximately halve the universe of books digitized by Google without prior consent. Well, thanks a lot! James Grimmelman of the New York Law School, the most exhaustive and astute independent Google deal-watcher, has observed that what this adds up to is an invitation to Congress to wrestle with the comprehensive overhaul of copyright it hasn’t undertaken since 1976 – while private parties get a head start on their own rendition of what that reform should look like. Calling it “a clever hack,” Grimmelman doubts that it is legal. I call it a legal tongue-twister worthy of the late, great Theodor Geisel, “Dr. Seuss.” Unlike some of my fellow writers, I think the ultimate solution is, indeed, an “opt-out” system – but one that must be established openly by Congress via “compulsory license” legislation, which would include royalty schedules fairly balancing the interests of publishers, creators, and the public. The loose model is ASCAP, which took on a similar role in the music industry with the advent of radio and recording equipment. Zoe Lofgren, the Silicon Valley congresswoman who receives campaign contributions from CEO Eric Schmidt and other Google executives, claims the settlement achieves what those in the legislative branch “failed to achieve.” I say Lofgren should speak for herself. In a related vein, Google is the subject of a new book by the New Yorker’s Ken Auletta entitled The Googlization of Everything. Seemingly unaware of the implications of what she was reporting, the San Francisco Chronicle’s Julian Guthrie gushed about Schmidt inviting Auletta to the Google campus for a reading, and the book’s sale at discount to company employees. Technology and social critic Andrew Keen, for his part, read The Googlization of Everything and came away stunned by Auletta’s almost preternatural ability to write such a bland and inoffensive tome on one of the most polarizing institutions in America today. Now Google Books Settlement 2.0 rests in the hands of Obama Justice, which will decide whether cutting this baby in half was good enough. Irvin Muchnick (http://muchnick.net; http://twitter.com/irvmuch) is lead respondent in the current Supreme Court freelance writers’ case Reed Elsevier v. Muchnick, whose issues are similar to those of the Google case. He is also author of the new book CHRIS & NANCY: The True Story of the Benoit Murder-Suicide and Pro Wrestling’s Cocktail of Death.